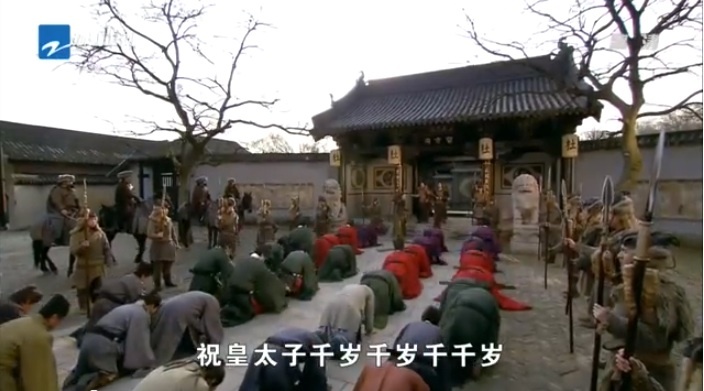 Wang Gui orders all the soldiers to retreat. General Du tries to leave the city, but the peasants block the general’s path. The soldiers start attacking the people and kill quite a number of them. Wang Gui prevents the rest of the Bro Squad from helping the peasants. General Du starts boarding a little boat. 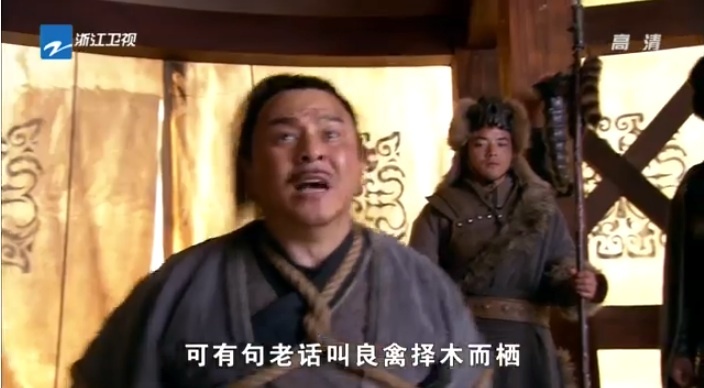 Yue Fei finally arrives, and General Du just laughs in his face. Yue Fei starts pulling out his arrows. He shoots General Du in the leg. Meanwhile, Jin troops are launching a full attack on the city. Aaaand it looks like Wu Zhu has taken over the city. A crowd of ex-Song officials surrender to Wu Zhu. Xiao E and An Niang are still trekking towards the city. Oh my goodness they’re STILL on the road? Yue Fei just forgot about them?! Everyone starts running away from the city, yelling that Jin soldiers have taken over the city. Xiao E drops her pendant in her hurry. Yue Fei leads his troops through a forest. So… he didn’t get General Du AND he lost the city? Bro Squad voices concerns about the war. The Emperor has fled, there’s no Commander General for the forces anymore, etc. Yue Fei just reminds them that they’re fighting for the people. Wu Zhu hears that Zhao Gou has just kept running away. 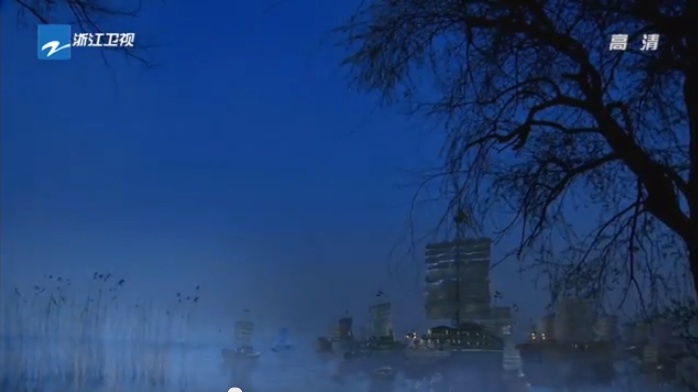 Zhao Gou has a nightmare. LOL he’s fled to a fleet of ships?! Qin Hui has arrived for peace talks in the main Jin camp. Wow, the two royals are still alive and making poetry on prison walls. Is it just me, or is the hairline on the old Emperor very very fake and obvious? Zhao Gou’s mom comforts him. General Du arrives in front of Wu Zhu. I hope Wu Zhu kills you. General Du has no shame; he sings praises to Jin and talks about the imminent demise of Song. 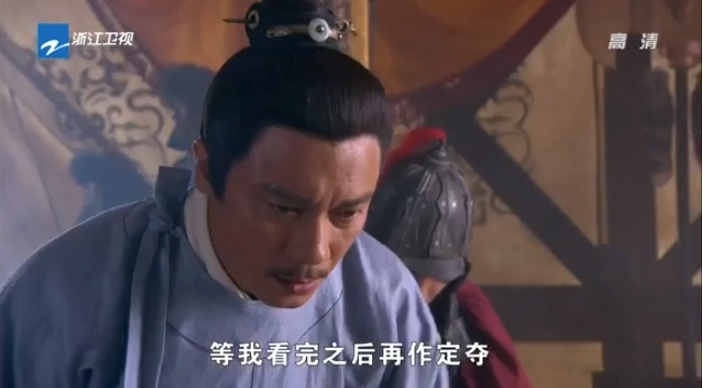 Thank goodness for Yu Wen Xu Zhong, who cautions Wu Zhu against the traitor. Once a traitor, always a traitor. But the 2nd Jin Prince speaks in favor of him. Wu Zhu brings out a razor to shave General Du’s hair. LOL how is this a custom if the rest of Jin all have tons of hair? Yu Wen Xu Zhong averts his eyes and doesn’t look very happy. EW SO UGLY. They definitely half assed that effort. General Du clutches his semi bald head. Wu Zhu just laughs. Yue Fei confronts baddie general. Yey, about time. Baddie general freaks out and starts running. Yue Fei returns and sees his soldiers with low morale…I mean, they’re drinking grass soup. So…..what happened to baddie general? Yue Fei takes a bite of a stinky, dirty, hard steamed bun. Bro Squad follows suit. They grimace at the taste. One guy can’t take it. He spits out the bun, and heads out to find food. 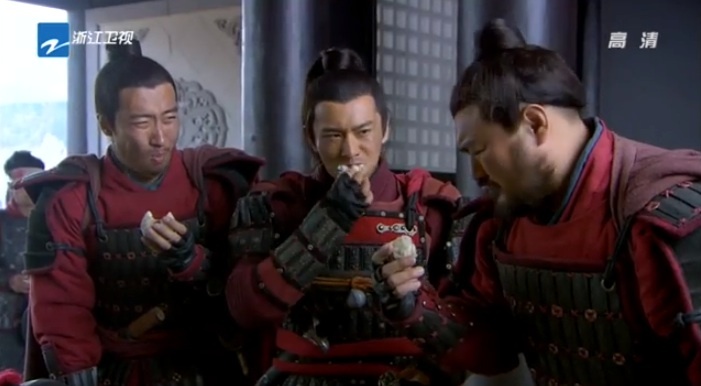 Yue Fei stops him and tells him to pick up the bun and finish it. He cries that it isn’t fair. He just wants to go out and find food…he won’t steal! Yue Fei schools him on proper soldier behavior and brings out the big ideals. 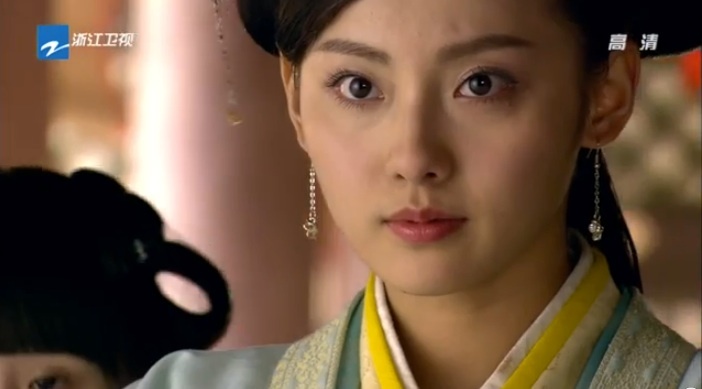 Baddie general decides to go back to Yue Fei. 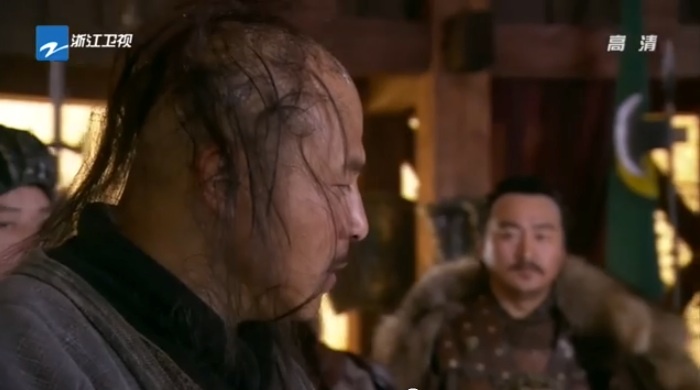 If Yue Fei doesn’t see him, then baddie will take Yue Fei’s head to Jin camp. Su Su returns home. Apparently she’s from a wealthy family. But we all know that she’s only home to get some food for Yue Fei. She takes a bath and finally dresses up as a girl. Honestly, I feel for Bro Squad. Yue Fei already pulled the whole ‘I eat bad things, you eat bad things, we’re all in this together’ when he ate those worms back in the day. I can’t feel for him. I get that the soldiers have to have consistent behavior based on their ideals, belief in the system, and loyalty to the countrymen. But I’m just waiting for Yue Fei to be more aggressive and actually kill some baddies. He would seroiusly prevent so many bad things from happening. I don’t understand. This entry was posted in Chinese Dramas, Culture, Drama Recaps/Reviews and tagged 精忠岳飞, Episode 34, Huang Xiao Ming, Jing Zhong Yue Fei, Patriot Yue Fei, Recap. Bookmark the permalink.